Rob Maher is a founding trainer with Scrum.org. He is one of only a handful of trainers worldwide who are qualified and experienced enough to be able to teach the entire Scrum.org curriculum of courses. He is currently an Agile coach. 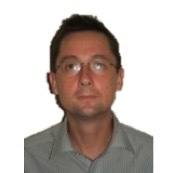 Rob has run both technical and Scrum training extensively throughout SE Asia. With over 15 years of software development experience he has a history of leading change in large organisations. Rob has helped several companies transition to Scrum and improve their software development lifecycle using solid ALM practices. Rob is a regular presenter at industry events such as Agile Dev West, Tech-Ed, Code Camp and various conferences worldwide. Robs experience includes everything from working as a Scrum Master coaching teams in Scrum and software development practices to helping testers master automated testing techniques.